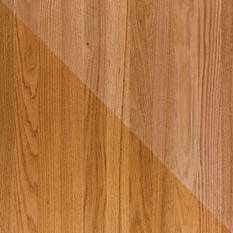 Red Oak Wood Floors Grain: Open, slightly coarser (more porous) than white oak. 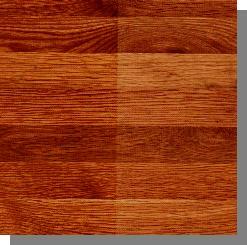 Plainsawn boards have a plumed or flared grain appearance; riftsawn has a tighter grain pattern, low figuring; quartersawn has a flake pattern, sometimes called tiger oak, tiger rays or butterflies. 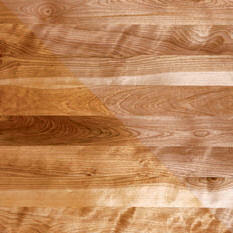 Workability: Sawing: good Nailing: good Sanding: satisfactory Finishing: Absorbs finishes more evenly than red oak. 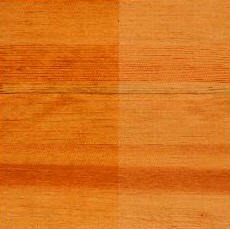 Color: Maple Heartwood is creamy white to light reddish brown; Sapwood is pale to creamy white. 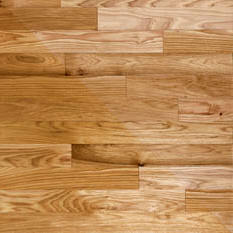 Maple Wood Floors Grain: Closed, subdued grain, with medium figuring and uniform grain texture. Occasionally shows quilted, fiddle back, curly or bird's-eye figuring. Figured boards often culled during grading and sold at a premium. 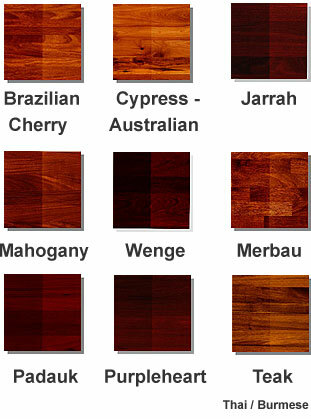 Color: Heartwood is dark to reddish brown, lustrous; sapwood is light brown to pale with a light pinkish tone. 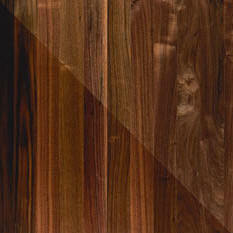 Some manufacturers steam lumber to bleed the darker heartwood color into the sapwood, resulting in a more uniform color. 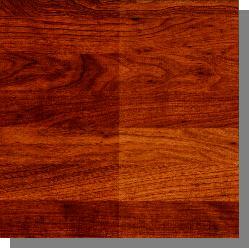 Cherry Wood Floor Grain: Fine, frequently wavy, uniform texture. 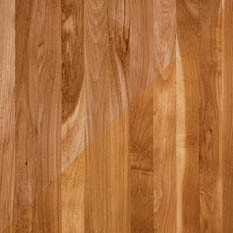 True quartersawn has distinctive flake pattern. Texture is satiny, with some gum pockets. Workability: Sawing: good Nailing: good Sanding: Resin tends to clog sand paper, frequent paper changes are required Finishing: Using durable finishes can help minimize wear. 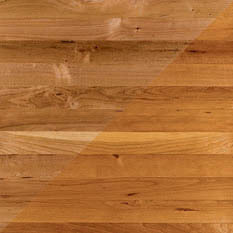 Grain: Bold, straight, moderately open grain with occasional wavy figuring, and can have strong contract in grain in plainsawn ash wood flooring boards. Workability: Good Sawing, Good Nailing, Good resistance to splitting sanding. 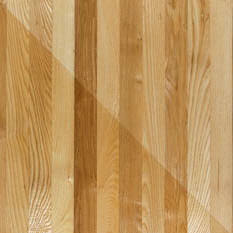 Birch Wood Flooring Grain: Medium figuring, straight, closed grain, even textured. Occasional curly grain or wavy figure in some boards. Sawing: With good machine tools, difficult with hand tools. Durability:Elastic, hard; excellent shock resistance. Wears wells, stays smooth when subjected to friction - popular for factory floors. Grain: High in character, with ingrown bark and mineral streaks. Used in end-grain flooring blocks. Grain of Heart Pine Wood Floors: Dense, with high figuring. 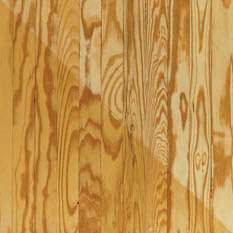 Plainsawn is swirled; rift or quartersawn is primarily pinstriped. Curly or burl grain is rare. 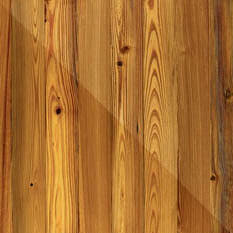 Color: Douglas Fir Wood Floors are a Yellowish tan to light brown heartwood. 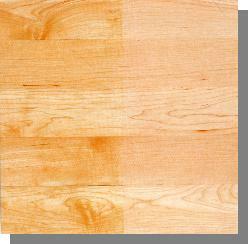 Sapwood is tan to white Heartwood may be confused with that of Southern yellow pine. Radical color change upon exposure to sunlight. Sanding: Satisfactorily Finishing: May change color with some finishing products, and care must be taken to avoid over sanding.